This is a true incident, which is a divine miracle in itself, that we at Fort Samiti experienced a few days ago. During the regular Sunday visit to St. George's hospital, on 11th June 2006, the Fort Samiti sevadals came upon a boy, of about 5 years old, who was admitted in the children's ward, for convulsions and was registered in the hospital as an 'unknown' case. He was found at the Railway platform and was admitted by the local police. 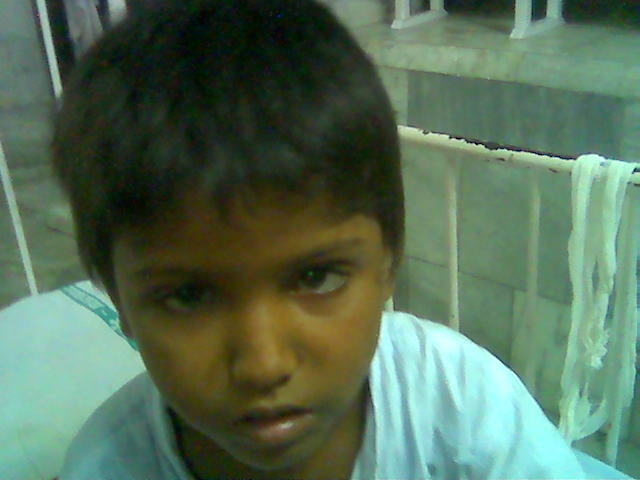 The Seva dals provided for the child's medication and after the child was treated, he was to be taken to the 'remand' home, which is a Juvenile prison by itself. In order to save the child from being taken to the remand home, the seva dals asked the little child for his name and address such that he could be dropped off to his house. However being just 5 years, the child gave answers in bits and parts. By his talk it was evident that he was from interior Maharashtra. He divulged his name as "Ganesh Bamare" and that he hails from "ShriRampur" but obviously could not spell out his correct address. He did inform that his house is in AshokNagar and that there is a printing press near his house. Based on this limited information, the seva dals checked out with the Police authorities and were informed that there are about 7 Shrirampur villages within Maharashtra but it got easy for them, when Ganesh told them that there is a big Shirdi Baba temple near his village (Shirdi). He could inform this to the seva dals, when he was shown Shirdi Babas's photo. After which the seva dals contacted the Seniors within their Fort Samiti and also consulted the other volunteers within our Sai Organisation. As advised by Shri Anup Saxsena, the seva dals contacted Shri Mukesh Patel and it so happened that based on the networking of the Sai volunteers spread across various towns and villages within Maharashtra, they could find a lead to the address blurted by little Ganesh. And, his parents were contacted by one of the Sai devotee within ShriRampur !! The volunteers there had made posters of details of the missing boy and stuck them around the village. This is how Ganesh's father could be made aware of his missing son's details.. The father of the child, who had never been to Mumbai before, was given the address in Mumbai and the money to travel by the Sai volunteers in Shrirampur. Ganesh's father arrived on 17th June at the hospital and the child literally sprang from his bed into his father's arms. The child had been missing from his home since 9th May 2006. His father had arrived with the requisite proof of identity, based on which ,the child was handed over to him. 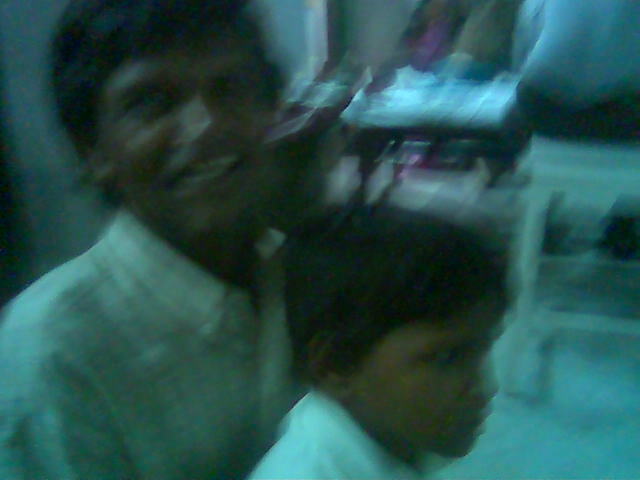 After getting the requisite treatment at the hospital, and after having made arrangements for the child to be treated every six months, within Shrirampur itself, by the Sevadals, the father and son left from the hospital, happily, back home on 20th June 2006. It is indeed very sad to note that the child had been running away from his home due to utter poverty and has done so in many instances in the past. However the seva dals have given them packets of Vibhuti and Baba's photos to insulate them in future from their worries. It is indeed a great miracle to see Sai at work, the energy that our dear Sai pumped into every volunteer and the network of the Sai volunteers, truly facilitated a lost child to find his home.. It is truly the instance of "if you take one step towards me, I take ten towards you" which has come true. ! !